It has been a tough summer in many parts of the Midwest as crops have suffered due to the lack of rain. 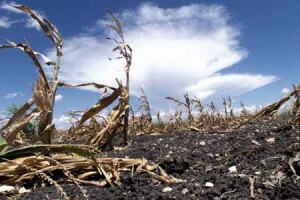 Drought conditions reduce crop yields, lessen the food supply and can put a farmers entire livelihood in jeopardy. In some countries, a severe drought can lead to famine as crops completely disappear over an extended period of years. These type of conditions are very difficult for a farmer to plan for because they never know when one might occur. One person from history, however, did get a heads-up about a drought/famine and, because of his foreknowledge of the event, he quite possibly enacted the greatest crisis management plan the world has ever known. We know at some point in our lives we will face a financial challenge or crisis. We don’t know where it will come from, how big it will be or how long it will last. But the fact that we know they are coming should give us incredible incentive to plan for them. 1. He planned before the crisis began. 2. He was honest and upfront with Pharaoh about the depth of the coming crisis. The people would literally be struggling to survive. 3. He had the people sacrifice while times were good. This is so against human nature because we want to “live it up” while times are good. 5. He stored the food in the cities where it was easily accessible. He didn’t ship it off to some remote location where he couldn’t get to it. He didn’t convert the grain into a non-liquid asset like land or precious metals. (which would have been useless during a famine). He knew he would need this resource in a relatively short timeframe so he kept it as accessible as possible. 7. His intense focus and dedication to seeing Egypt through the crisis lasted for a total of 14 years. That’s some long-term commitment. Unexpected life events that affect our finances are going to happen in the future. This is the reason to develop a strategic plan now. How do you prepare for a potential crisis?